“The East Side,” the inaugural Harvard Asian Student Arts Project (ASAP) production at Farkas Hall, tells a tale of authenticity, identity, acceptance, and above all, love of all kinds. This original coming-of-age musical comedy follows 17-year-old Ryan (Jason Yoo ’21) and his struggle with his developing identity as an American-born Chinese student. Ryan and his immigrant mother, Ms. Chen (Bo Young Choi ’17), run a family restaurant in New York City’s Chinatown called “Chen’s Dumpling House.” Dulled by life at the restaurant, yet full of youthful ideals, Ryan struggles to balance the typical high-schooler’s life: spending time with his friends, studying for the SATs, and pursuing his romantic interests, while also tending to his one true hobby, painting. 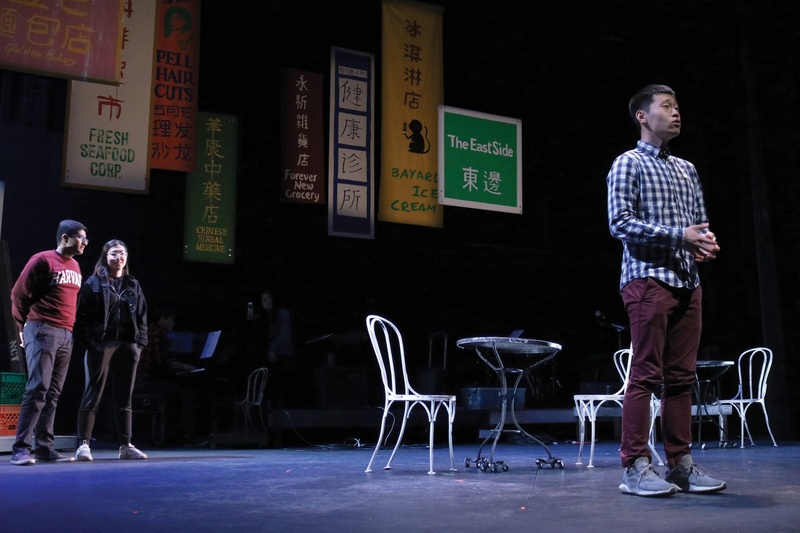 Ryan’s struggle to choose between his “Eastern” and “Western” identities in Chinatown, the East Side of New York City, is where Julia H. Riew ’21, musical co-writer and ASAP co-president, derived the musical’s titular inspiration. Yoo hopes the audience will be pushed to grapple with deeper questions of identity and authenticity. “I think the overall message of the musical is don't lose sight of who you are just because conformity is an easier path. You should always stick to your heart to make who you are as a person,” he said. In terms of the musical repertoire, Yu looks forward to the SAT song, where every single letter that the students bubble in, “A, B, C, and D,” corresponds to actual musical notes. “So when they sing D they're actually singing the note D as well as the letter D,” Yu explains. Yong spoke about the spontaneity and constant collaboration of the artistic process. This rang true in developing the dance pieces, most of which are hip hop-based, with one particular section featuring popping and locking. “Some of our cast members were tap dancers, so working with a choreographer and myself, we decided to add a tap number in,” Yong said. The East Side will be at Farkas Hall from April 11 to April 14. Tickets are free. A previous version of this article misidentified Bo Young Choi as Bo Y. Choi.